Behind every successful research, experiment and process, there are a lot of efforts and equipments responsible. It includes smallest to biggest apparatus of laboratory in the world of chemistry. Many times, scientists and lab professionals have to pass through numerous experiments to check the properties and the results of various combinations and compositions. Some of the experiments can be risky if the apparatus used are of lower or substandard quality. 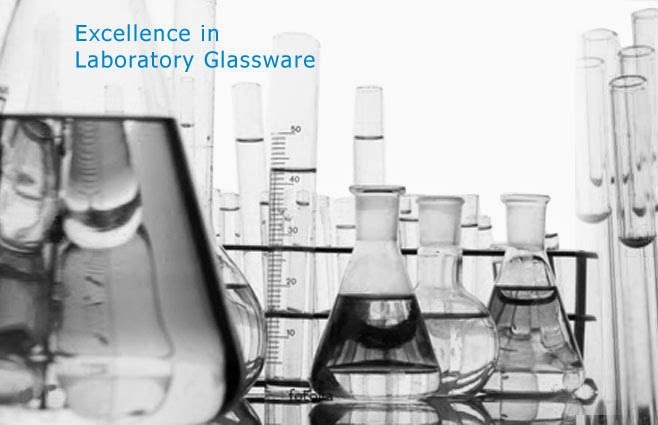 In the case of poor quality of lab glassware, the apparatus can burst or crack, which can be detrimental to research, as well as, associated researcher. This situation is never preferred by any professional. The glass used in making of different apparatus is a unique material, which usually is not used for ordinary glass articles. This glass is popularly known as Borosilicate glass, which is a combination of Boron and Silica. This composition is heated at a very high temperature to turn it into liquid form. Once this mixture melts, it is sent to semisolid form, and before it is solidified, impurity from the same is accumulated and removed so that the highest clean form of the mixture is received. Then, it is allowed to have a semi-solid form and sent for different dyes to have different shapes. These shapes make it as a perfect apparatus used for different general processes or experiment specific processes. Thus, various apparatus such as containers, jars, flasks, pipettes, burettes, conical flasks, test tubes, etc. are produced. There are many benefits of glass apparatus, which help to succeed in different experiments and processes. The most important advantage is its crystal clear quality that helps to watch the process and makes it successful to the highest possible extent. There are many possibilities that one has to modify the process or make some changes in compositions of different chemicals, which is possible during an experiment only if one can see it through. Many times, one has to pour the chemical in apparatus and sent it for heating directly. If the apparatus is not heat resistant, it can burst and cause an accident. But with apparatus made from this glass, one does not need to worry at all. It is heat resistant, and, therefore, useful under such situation. At the same time, it is equally useful or chilling purpose also. These apparatus can be very well used for holding and storing radioactive chemicals also. As the chemical can be seen through the glass, any chemical can be filled in the apparatus, and one need not worry to look into the apparatus. These apparatus no doubt do not burst or crack, but at the same time not unbreakable also. Therefore, one has to take due care while handling as fall from height can break it. Considering various positives and negatives of these apparatus, people like to use them as they have more positives. Probably, these qualities only are primary drivers that majority of lab professionals trust it for a number of years. It has contributed well to the world of chemistry.